Accept payments your way with full marketing and loyalty integration. SpotOn Poynt is a multi-tasking machine designed to accept virtually any payment type and give you advanced marketing and loyalty features, all-in-one. It’s easy-to-use, powerful, and elegant. Best of all, it’s flexible, enabling you to do business your way. 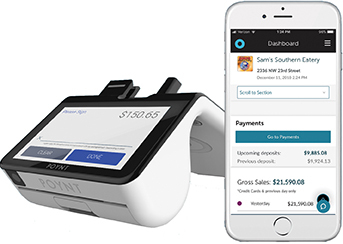 Thanks to the powerful, intuitive design of SpotOn Poynt, you can operate it as a simple payment terminal, where you process individual transaction amounts, or you can add a full product catalog and run it as a point-of-sale device. 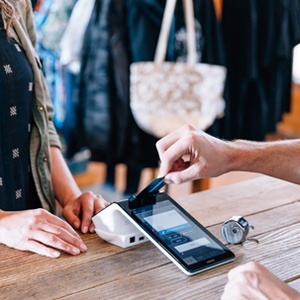 Where SpotOn Poynt truly outshines other payment hardware is with its built-in tools to collect customer contact information during the checkout process, enabling you to then engage your customers through social media, email, and mobile alerts to increase traffic and grow revenue. The SpotOn team will get you set up so that SpotOn Poynt is optimized to help your business succeed. Regardless of what mode you choose, you’ll have full access to your SpotOn dashboard, including our review monitoring tools and payment analytics.